New subscribers this week include Mark Johnson, Robert Giamboi and Steve Hose. Welcome aboard! We have 1,590 email subscribers, plus 188 followers on Facebook. In 1955, at about the same time he lost his sight, Borges was appointed director of Argentina's National Public Library. He said: "Little by little I came to realize the strange irony of events. I had always imagined Paradise as a kind of library. Others think of a garden or of a palace. There I was, the center, in a way, of 900,000 books in various languages, but I found I could barely make out the title pages and the spines. I wrote the 'Poem of the Gifts,' which begins: 'No one should read self-pity or reproach / into this statement of the majesty / of God, who with such splendid irony / granted me books and blindness at one touch.'" This week we open with announcements of two new numismatic books, followed by Harvey Stack's comments on the refurbished Stack's-Bowers showroom in New York. Also in this issue are reviews of numismatic exhibits at the British Museum in London and the Hunterian in Glasgow. Other topics include Augustus S. and Augustus H., Yankee Robinson, Victor David Brenner and the Heeren Brothers' Columbia Shield. To learn more about "Gleanings from Coins", Julio Kilenyi's Noah medal, Nazi death camp artifacts, Australia's curved coin, the resourceful bartender, and the Most Interesting Man in the World, read on. Have a great week, everyone! An examination of the most infamous medal of celebrated Munich medallist Karl Goetz: the history of its wartime origins, photographic guide to the different varieties and reproductions, value information, other medals relating to the Lusitania, and related ephemera (boxes, pamphlets, postcards, etc.). The book allows readers to determine whether they are looking at a common medal worth perhaps $20, or a rare specimen that could fetch $600 or more. A sampling of selected pages may be downloaded from www.LusitaniaMedal.com. Full color, 194 pages. $49.95, 31.86£ (Great Britain), 40.60€ (Continental Europe). Greg Burns currently serves as editor of "The California Numismatist," the award-winning joint publication of the California State Numismatic Association (CSNA) and the Numismatic Association of Southern California (NASC) and has been a coin collector for about 35 years. His collecting passions are the satirical medals of the German medallist, Karl Goetz, medals relating to WWI in general, and he has a longtime fascination with Canadian colonials and bank tokens. 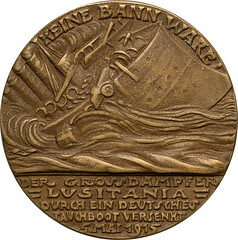 On a related note, I’ve been working with medallist Alex Shagin on initial discussions about creating a commemorative medal of some type to recognize the 100th anniversary in 2015 of the sinking of the Lusitania (yes, we have quite a bit of time until the centennial, but that’s a luxury I welcome). We’re open to input from others who’d like to collaborate on the design, the production method (cast, strike, whatever), and the marketing (subscription or something else? ), and if any E-Sylum readers may have an interest in that they’re welcome to get in touch with me at gregsburns@gmail.com . Krause Publications has released the 2013 edition of North American Coins & Prices. Now in its 22nd edition, North American Coins & Prices offers complete listings of U.S. coins from early Colonial issues to modern commemoratives and sets, coins of Mexico from Cob Coinage to modern bullion, and complete listings of Canadian coinage -- fully illustrated and offering the most up-to-date pricing in up to 11 grades. No other numismatic book offers all this information under one cover. 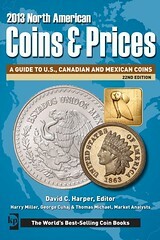 Listings for coins of United States, Canada and Mexico. SIXTY YEARS IN THE VERY SAME LOCATION, STACKS REFURBISHES IT'S "COIN SHOP IN NYC"
I have been given the honor of making the opening remarks about our long time located famous coin shop in midtown New York City, found just a short walk from Fifth Avenue. Today is August 23, 2012, just about 60 years since Stack's relocated from its Store and Offices on West 46th Street in New York City; to its present location at 123 West 57th Street where we are till this day. This location was selected after being on West 46th Street just off 5th Avenue, as the street we were on, after World War II, turned from catering to the Arts and Antiques, with the Jewelry Center of NYC on the adjacent block, to being occupied by the advent of the "white Goods" household trades, and it lost its appeal to just a beautiful shopping street. New York was moving uptown, closer to Central Park, and the Stack's felt that that environment would be wonderful for coin collectors to browse on. Stack's is located adjacent to Steinway Hall, across the street from Carnegie Hall and opposite the famous Russian Tea Room, to mention but a few landmarks that surround our new location in 1953. And these landmarks are still the same today. Stack's built its new location, almost a mirror image of their earlier location. A spacious showroom, with glass and walnut sit down counters, coins on display for collectors to browse and select from, in easy view before them, numismatic and educational wall displays to inform and entertain the visitor, special lighting to see the items being offered, a staff of educated and trained numismatists to examine coins being brought in for sale, and provide information to the buyers of the importance of what they were shown. To make those visiting most comfortable, air conditioning, especially in the summer months was always maintained. For those waiting to be served, they could find themselves a seat at the counters or rest on a comfortable couch in the forepart of the showroom. The walls also had racks of numismatic books and collector albums which could be looked at, selected from and acquired for personal use. Collectors met each other at Stacks, whether during working hours, on Saturdays or holidays and sat about discussing coins of interest to them, with fellow collectors and the super staff that Stack's always employed. Our staff could field questions in all fields, from ancient times to the modern, and these specialists who had academic ambitions worked for Stacks for many years before going out on their own. We had great cataloguers, and graduated from our staff scholars like Cornelius Vermuele, who became curator at the Museum of Fine Arts in Boston, Dr. and Mrs. Clain Steffanelli who became curators at the Smithsonian Institute in Washington, D.C. , Henry Grunthal, who became Curator at the American Numismatic Society in New York, to mention but a few. Just for the record, I have been active in this firm since 1947 and enjoy every moment I can be here to greet old friends and collectors, as well as the newer generations coming on. 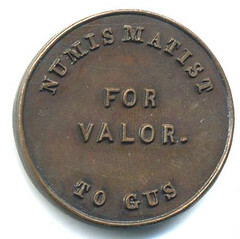 Regarding the above medal, last week I asked, "So who's Gus? And what was the occasion for the awarding of this medal?" Title:	Augustus Goodyear Heaton artist file : study photographs and reproductions of works of art with accompanying documentation 1920-2000. Corp Author(s):	Frick Art Reference Library. Description:	2 folders [as of 1999] : ill. (some col.) ; 34 cm. Abstract:	Assembled artist file includes b&w photographs, reproductions from books and auction catalogs, and in some cases, negatives. Items may include full views, details, before and after restoration views, etc. Documentation may include artist name, title of work, medium, dimensions, provenance, exhibition history, related works, previous attributions, and bibliography. Art -- American -- Reproductions. Named Person:	Heaton, A. G. (Augustus Goodyear), 1844-1930. Note(s):	The Library continues to add to the file./ Title from container./ Compiled by staff of the Frick Art Reference Library./ Size of items in boxes varies. Augustus Goodyear Heaton (April 28, 1844 – October 11, 1930) was an American artist, author and leading numismatist. He is best known for his painting The Recall of Columbus and among coin collectors for writing A Treatise on Coinage of the United States Branch Mints, which introduced numismatists to mint marks. Heaton was a student at the Pennsylvania Academy of Fine Arts with Peter F. Rothermel, and was the first American student at the École des Beaux-Arts in Paris with Alexandre Cabenel and Leon Bonnat. Heaton was also a teacher in Philadelphia at the Art Students League of New York. Most of Heaton's paintings are portraits, including Varina Davis, second wife of President Jefferson Davis, known as First Lady of the Confederate States of America (1892). His most famous painting, however, and the one of which he was most proud, was The Recall of Columbus, painted in 1882 and copyrighted in 1891 as the 400th anniversary of Christopher Columbus' landing approached. It was begun in his Paris studio and finished in Rome in the studio of American sculptor Chauncey Ives. The painting was sent to the U.S. Capitol in 1884 to be reviewed by the Joint Committee on the Library, purchased later that year for $3,000 and remains part of the United States Senate Art and History Collection. In 1892, the painting was exhibited at the Columbian Historical Exposition in Madrid in 1892 and again in 1893 at the World's Columbian Exposition in Chicago. Also in 1893, to mark the Chicago Exposition, was the release of the Columbian Issue, a set of 16 commemorative stamps issued by the United States. The 50 cent stamp featured The Recall of Columbus bringing the painting to the attention of the general public. The ocean engineer credited with finding the mythic ‘Ship of Gold’ laden with treasure back in 1988 is now being sought by U.S. Marshalls for allegedly refusing to pay his crew and investors. In 1983, Tommy G. Thompson, of Columbus, Ohio, organized an expedition to find the epic ship and recover the treasure, promising his investors major returns if his mission is a success. Five years later, on September 11, 1988, Thompson announced to much fanfare that his team, the Columbus-America Discovery Group, had found the shipwreck, but the big payday never came. Although books have been written about the search for the SS Central America, it remains unclear to this day how much gold was recovered from the underwater site, Fox News reported. It has been reported, however, that Thompson sold bars and coins to a California mint for $52million, but his investors, including a Columbus newspaper tycoon and a prominent auto dealer, say they have not seen a dime of it. 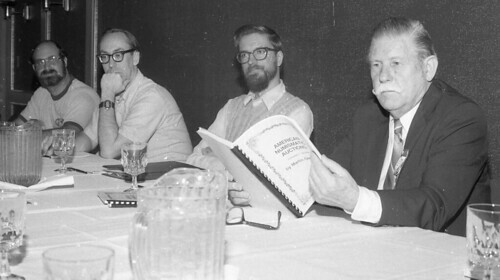 During the fifteen years from 1972 to 1986, when my wife Sara and I organized the New York International Numismatic Convention at the Sheraton Centre, Vinnie Alones was an occasional exhibitor, and a first-rate, no nonsense worker, instrumental in various ways in helping to set up the Albert Hall prior to the opening of the convention. Even more important was his function in connection with the party we ran in our suite each Saturday night after the bourse closed. As we could not possibly afford to purchase all of the required booze from the hotel, Vinnie was responsible for "supplementing" our supplies at a local purveyor. At the party itself, Vinnie was an energetic and resourceful bartender; he never turned down anyone, but knew which dealer was approaching his (or, in one notable instance, her) limit, and subtly watered down their drinks accordingly. Portrayed are Scott Rubin, Martin Gengerke, unknown, and of course brother Alones. Regarding the undated Grand Central show photo, the individuals are (from left to right): P. Scott Rubin, Martin Gengerke, the Most Interesting Man in the World, and Vincent Alones. Okay...I made up the one about the third guy! "I am happy to find out that at the Philadelphia American Numismatic Association convention, The E-Sylum won the 2012 NLG award for the Best Trade Press Web Site. I have read The E-Sylum for years and have learned many things that helped me in both coin and book collecting from reading this. Now that I am not collecting I still read it to stay up to date. Even though some non-collectors might think reading a news letter that deals with books that deal with coins and coin collecting might be very boring, that is furthest from the truth. Wayne Homren who is the editor always has articles that people submit that might not be my area of interest they are always readable. It is a labor of love for him." I am presently working on a study of the administration of the Edinburgh mint and the monetary economy in Scotland during the reigns of James VI and Charles I. As a result I am trying to amass as large a "data base" of their published coins as possible. [On an even longer term note I am also researching the coinage produced during the reign of Alexander III of Scotland, but that is another story.] Consequently, I am looking for a copy of the Stack's Sale of 22-23 April 2009 (aka the Firth of Clyde Collection of Scottish Coins). If anyone would like to part with their copy at a reasonable price please contact me at etfort@verizon.net. The Balzekas Museum of Lithuanian Culture was started in 1966 by Stanley Balzekas Jr. at 4012 Archer Ave in Chicago but moved in 1986 to 6500 S. Pulaski where it is today. Yankee Robinson is one of my favorite numismatic characters. I first “met” him in the late 1950s when as a teenager I became fascinated with Civil War tokens. One curious example, worth perhaps a dollar then ($20 to $40 for an Extremely Fine example now) showed a man wearing a stovepipe hat and carrying a gun, with the inscription, YANKEE ROBINSON / THE GREAT SHOWMAN. The reverse proclaimed YANKEE ROBINSON’S BIG SHOW and had a finger pointing to “Triad,” a triangle with PRESENT, FUTURE and PAST around the triangle’s edges. A fan of circuses, I knew of Ringling Brothers, Barnum & Bailey, of course, and had seen them under canvas on a couple of occasions. But Yankee Robinson? Who was he? In the 1990s I determined to learn more about him. I read through old copies of the New York Clipper trade magazine, found some advertisements in 19th century papers, and made a fortunate contact with Fred Dahlinger, historian at the Circus World Museum in Baraboo, Wis. It turned out that the museum had a large file of articles on the “great comedian” and his show. When I wrote More Adventures with Rare Coins in 2002, I included a large chapter on Yankee. Numismatists today can collect more than a dozen varieties of his Civil War tokens. In addition, in 1854 and 1855 he counterstamped many thousands (probably) of half dollars with FREE TICKET TO / YANKEE / ROBINSONS / QUADRUPLE SHOW. Anyone getting one of the coins in change of course had a “free ticket,” but the half dollar had to be left behind at the show entrance! This is a picture of a plaster of Noah by Julio Kilenyi. 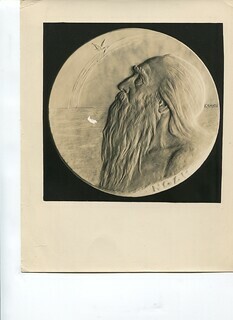 Noah is still at sea in this composition as he looks for the sign that land is near. It has stopped raining and a rainbow has appeared. If you consider that the plaster is the camera lens zoomed all the way in, then in your mind’s eye zoom out and you will find that Noah is standing on the deck of the Ark. So the Ark is there it is just not in the frame. The only struck example I have seen of this plaster is a 1 and 1/4 inch sterling uniface medal with a highly polished edge and the surface of the truncation and the tops of the NOAH lettering also highly polished. 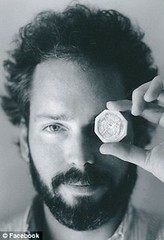 There is no maker’s mark but the polishing leads me to believe the maker was more a jewelry company than a medal maker. Possibly either Robbins or Balfour. 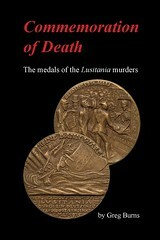 Should the readership have any idea who struck the medal, it would be nice to know. The photo is from the archives of the National Sculpture Society and is undated but is marked on the back "Val’s Photo Service". 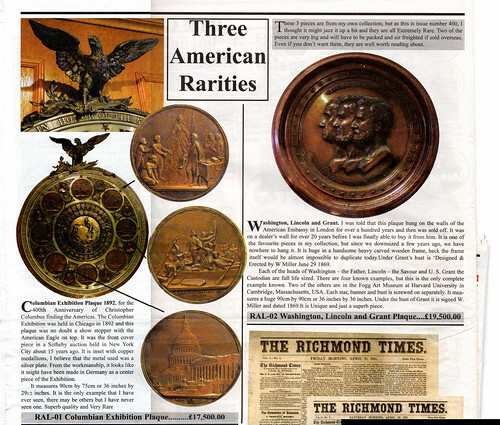 Richard Lobel’s latest issue of The Phoenix is offering two LARGE medallic items from his own collection. I attach a scan in case they are of interest to The E-Sylum. Columbian Exhibition Plaque 1892, for the 400th Anniversary of Christopher Columbus finding the Americas. The Columbian Exhibition was held in Chicago in 1892 and this plaque was no doubt a show stopper with the American Eagle on top. It was the front cover piece in a Sotheby auction held in New York City about 15 years ago. It is inset with copper medallions, I believe that the metal used was a silver plate. From the workmanship, it looks like it might have been made in Germany as a center piece of the Exhibition. It measures 90cm by 75cmor 36 inches by 29 1/2 inches. It is the only example that I have ever seen, there may be others but I have never seen one. Superb quality and Very Rare. I was told that this plaque hung on the walls of the American Embassy in London for over a hundred years and then was sold off. It was on a dealer's wall for over 20 years before I was finally able to buy it from him. It is one of the favourite pieces in my collection, but since we downsized a few years ago, we have nowhere to hang it. It is huge in a handsomely heavy carver wooden frame, heck the frame itself would be almost impossible to duplicate today. Under Grant's bust is 'Designed & Erected by W Miller June 29, 1869. 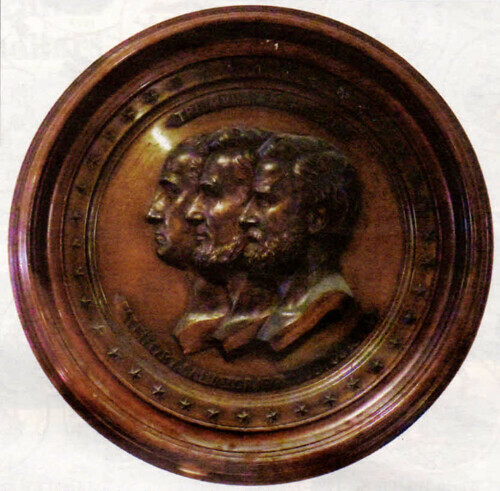 Each of the heads of Washington - the Father, Lincoln - the Savior and U.S. grant the Custodian are full life sized. There are four known examples, but this is the only complete example known. Two of the others are in the Fogg Art Museum at Harvard University in Cambridge, Massachusetts, USA. It measures a huge 90cm by 90cm or 36 inches by 30 inches. Near the end of November, 2002, I was in a local coin shop and noticed an odd-looking medal with the image of a skeleton on it. I remembered having seen one like it perhaps twenty years before in the book, The Beauty and Lore of Coins, Currency and Medals, by Elvira and Vladimir ClainSteffanelli. It’s a large beautiful book, illustrated with wonderful color photos on glossy pages, and filled with myriad stories dotting the landscape of all of numismatics: primitive money, ancients, medieval and modern coins, paper money and medals. You should peek at it if you ever get the chance. 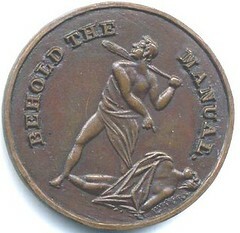 While the Clain-Steffanelli book hadn’t passed along any of the details of the story behind the gruesome medal, it did devote an entire page to showing the obverse and reverse of the medal, and had attracted my eye at the time because of it’s macabre image. It was distinctive and I had remembered it. Now here before me was what appeared to be the same medal, and the bid board listing for the piece was only $20. No one had bid on it yet, and with but a day or so to go before the bid board closed, I wrote my bid number and the $20 reserve price down on the medal’s ticket. A few days later I went to the shop and was happy to find that no one had bid against me and I had won the piece. I took it home, put it in a new plastic flip with a label for storage, and stuffed it in a box alongside numerous other pieces which shared a common theme of having been impulse buys. It might have languished there and this book never been written, except for a short trip I took a couple of months later. In early 2003 I traveled from my home in Upland, California, up to San Jose to attend the semi-annual convention of the California State Numismatic Association (CSNA). I had recently agreed to take on editing and publishing the journal of the CSNA1 and wanted to attend their gathering to introduce myself to the various movers and shakers in the association and get to know them. While I was at the first day of the show (a Saturday/Sunday affair), I wandered the bourse floor looking over the offerings of the various dealers. I’m usually not too interested in display cases filled with slabbed coins, but often stop to look over the cases that have unusual and strange looking things in them. As I glanced at a case that had caught my eye, what did I see? Not one, but two medals that looked similar to mine. Now this was strange. I hadn’t seen one of these pieces for twenty years after first seeing it in the Clain-Steffanelli book, and here within a couple of months I had stumbled on a treasure trove of them. Intrigued, I asked the dealer standing near the case if I could look over his two medals. He pulled them out of the case and handed them to me, explaining, “They have two different dates.” It was true. One showed the date as “5 MAI” and the other as “7 MAI.” Now here was a puzzlement. For the life of me I couldn’t remember what my medal back home showed as a date, and here were two medals with differing dates, and both medals looked to be in better condition than the one I owned. I asked the dealer how much for each of the medals. He responded with something like $55 for one and $65 for the other. I don’t remember what the point of distinction was, but being a frugal man I opted for the cheaper of the two. It turned out to be the one marked “7 MAI.” In fact, I bargained the gentleman down to $40 for the piece. I was pretty happy with my lucky buy and resolved to compare it to my previous purchase when I returned home late the following day. However, later that Saturday night, something bothered me. If you’re a collector I’ll bet you’ve experienced the same thing, too. You see, I knew that there was another medal in that dealer’s case, and it wasn’t the exact same design as the one I had bought. Plus, it was a nicer looking one than the one I had back home. I fretted for a while, not quite knowing what was bothering me, but soon lit on the source: if I didn’t possess that third medal, I might never know what I had passed up. It must be a different variety of the medal, and as you know, collectors like nothing better than to be able to say they have a complete collection. I wanted that third medal and knew I would know no peace until I had it. Early the next morning I went straight to the dealer’s table. He wasn’t there. The remaining medal was in the case with a soulful look to it, seemingly begging me to take it home. I patiently waited, and waited, and waited. Finally, after I waited for twenty or thirty minutes, the dealer sauntered up and asked what he could do for me. I explained that I had bought his medal’s mate the day before and now wanted to buy the other. He was nice about it and let me have it for $50. I was so pleased. I rushed to a quiet spot in the bourse area and pulled out my previous day’s purchase so I could compare the two. I noticed that the patina didn’t look the same, and you remember the dating was different. I could barely wait to get home so that I could compare all three medals, one against the other. The drive home later that day seemed to take much longer than usual. My bid board specimen was also much rougher and cruder in appearance. Gradually I noticed, feature by feature, many differences between the three medals. I was quite happy that I had bought the two medals at the coin show. I later determined that the first medal I had purchased from the coin shop was a spurious counterfeit. Happily though, the two I bought at the coin show were both genuine Goetz medals worth much more than I paid for them, though I didn’t know it at the time. As the old saying goes, the die was cast. I was bitten by a bug and had to learn all about the event depicted on my new treasures. I wanted to know who the people were, and all about the circumstances that lead to the sinking, and all about dozens of other things relating to the medal and it’s maker. I spent several years compiling records, corresponding with various experts and other collectors, reading many dozens of books, and gradually building up an understanding of the piece and it’s place in history. Along the journey I became somewhat of an expert on the many varieties and their makers, and have had the pleasure to advise other collectors, museum curators, and Internet adventurers about the various fine points of these pieces. My purpose in writing this book is to put down on paper some of what I’ve uncovered, so that others can more easily see the panorama of the medal varieties and the stories behind the people associated with each of them. 1. The version of the Declaration of Independence given in the Beale Papers pamphlet, and used to decode the first cipher, has errors: For example, the actual Declaration of Independence has "Right of the People to alter or abolish it" (words 142-150), while the pamphlet has "right of the people to alter or to abolish it" (words 142-151). And it gets worse from there: miscounts occur for all entries after 480. The wonderful story of the value of the treasure is "decoded" from this defective source. All efforts by members of the Beale Cipher Association to locate a similar defective printing of the Declaration of Independence have failed. 2. Cipher No. 1, giving the locality of the vault, is said never to have been decoded. But if you decode it using the pamphlet version of the Declaration, with some obvious numbering errors corrected, you get: AABADAAABBCDEFFABBBCCCCDD etc. In other words, it is quite capable of being deciphered, but it is a dummy message. 3. Cipher No. 3, which supposedly gives the names and places of residence of 30 men, is only about 600 characters long (cannot readily find the exact number)--about 20 characters each. These men would all have to have had very short names and addresses--or to be brothers living at the same address--for this to be possible. 4. There are a number of anachronisms in the story. Beale claims to have exchanged jewels for silver in St. Louis in 1819-21 to the value of $13,000. Now in 1885 when the pamphlet was published, St. Louis was an important city, with the Eads Bridge over the Mississippi (population 312, 814 in 1870, with 32 jewelry stores), but in 1821 it was but a small river town. Whatever silversmiths there then would not have had "jewels." Diamonds, for example, did not become popular in the United States until the 1850s. There are other fatal anachronisms as well. 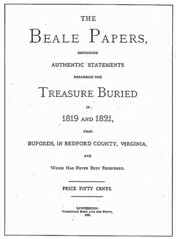 The only possible conclusion: the "Beale Treasure" is a hoax. DAVID SKLOW - FINE NUMISMATIC BOOKS offers Mail Bid Sale No. 17 on October 6, 2012, including: Rare 1910 ANA Yearbook, the only year one was produced www.finenumismaticbooks.com. PH: (719) 302-5686, FAX: (719) 302-4933. 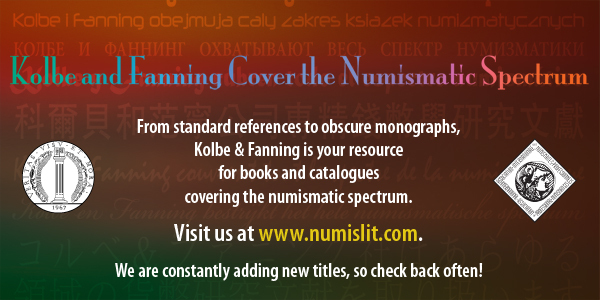 EMAIL: numismaticbooks@aol.com. USPS: Box 6321, Colorado Springs, CO. 80934. Contact me for your numismatic literature needs! 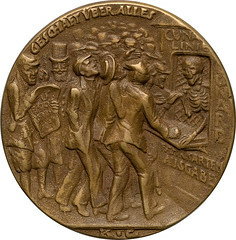 CIRCLE OF THE FRIENDS MEDAL BY BRENNER, 1911. Alexander COF 4.1. Smedley 87; Baxter 140; Marqusee 70. 69.9mm. Bronze. 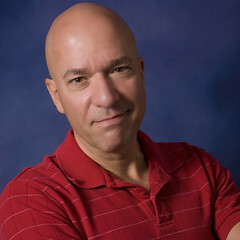 Victor D. Brenner. (Davison) Uncirculated, with the usual splotchy finish that appears on almost of Davison medals. Obverse: MOTHERHOOD at top above a seated woman left holding a baby whose head is on her left shoulder. Reverse: Winged cherub on cloud facing left blowing a trumpet. Capital of Capital: New York's Banks and the Creation of a Global Economy explores how the economic dynamo that is New York was made possible in great measure by its innovative and controversial banking sector. Tracing the trajectory of the city’s banks from the founding of the Bank of New York by Alexander Hamilton in 1784 to their primacy in today’s nation and world, the exhibition utilizes rare historical objects and images, including banking instruments, architectural renderings, and advertisements, to tell a fascinating saga of growth, innovation, and, at times, unintended consequences. In so doing, it also reveals how New York City’s particular circumstances—geography, human capital, and political alignments—helped make finance a major component not only of Gotham’s economy but also of its identity. The exhibition explores more than two centuries of New York’s banking system, from the founding of the city’s first banks after the American Revolution to the city’s emergence as a leading global economic power. Along the way, the exhibition reveals how banks and the capital they amassed fueled growth of the city’s stock market, the development of new industries and made New York the nation’s banking center by the middle of the 19th century and the financial capital of the world in the early 20th century. Moreover, visitors can see how banks became intertwined with New York’s growing economy, changing with the city itself as it became larger, more influential, and more global in reach. Capital of Capital unfolds in four sections, highlighting the innovations that gave each era its character – the bank-issued notes that served as the nation’s paper currency and made possible the mercantile economy of the pre-Civil War Era; the stocks and bonds that underwrote the nation’s investments in industry and infrastructure in the late 19th and early 20th centuries; the new tools of consumer credit and banking that became a growth industry in the middle of the 20th century, and the derivatives and securitized assets that fueled the booms and busts of the late 20th and early 21st centuries. 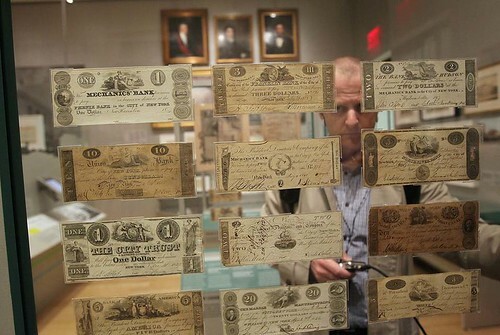 Capital of Capital gives visitors insight into New York’s banking history and reveal how many of the issues facing the industry today resonate back to the very early days of the city and its banks. The exhibition provides important historical context to the ongoing debate surrounding the availability of credit, the security of investments, and government’s role in the banking sector. Capital of Capital also covers popular protests against the industry’s power and policies and the connection between New York City and the global economy. Fourteen years after first opening, the Money Gallery at the British Museum has been re-interpreted with support from Citi, a financial services corporation. Emily Fildes and Mary Gillespie went to discover if the gallery fulfilled its aim of telling a 4,000-year history in just one room. The first thing you notice about the new gallery is its striking design. 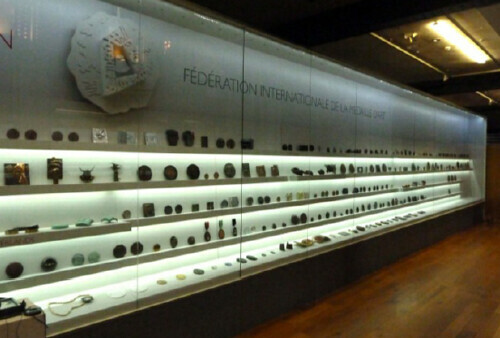 The layout remains the same as the previous incarnation – cases lining each side of the room with six located in the centre to prevent it acting as a corridor to the rest of the museum – however, the new dark teal walls create an intimacy that draws the eye to the objects in the cases. The visitor is greeted by an introductory panel providing concise information about the gallery, key objects and a small map of the space illustrating the cross-gallery “zigzag” navigational route; useful, as this route is not immediately obvious. The cases themselves have grey-scale backing (dark, mid and light-grey), each colour denoting a different story, although smaller silver objects are sometimes lost on the lightest background. Vibrant pink highlights the twelve key objects, one for each case. These are effective place-markers to guide visitors, for example the Beginning of Coinage key object is an electrum 1/6 stater – one of the oldest known coins. If this is the only object you look at, you can still grasp the key story of the case. The gallery is arranged roughly chronologically from past to present. 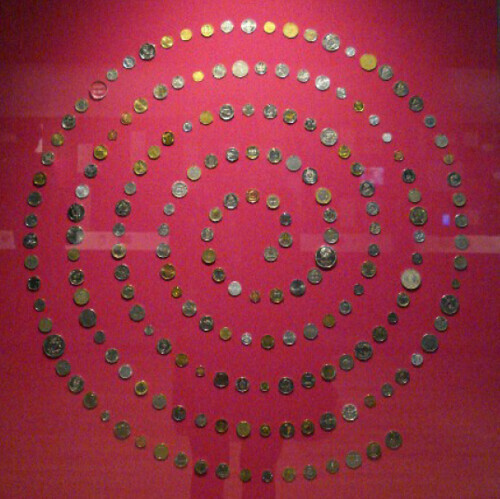 A timeline at the top of each case effectively leads visitors through a potted history of money over 4,000 years, associating each date with a place. The Kelvin Gallery is part of the Hunterian, which is the oldest public museum in Scotland. It was built by the Victorian Neo-Gothic architect Gilbert Scott, the spaces he made are lofty. They catch your attention with their combinations of, what was then, cutting edge modern use of cast iron engineering, and the remains of an older building language, of wood and masonry. Either side of this splendid gallery, where many of the congress lectures and social events took place, were long, grand illuminated display cases. The medals rested, or were freestanding, on four shallow shelves that ran the lengths of the two cabinets and on the deeper space of the base. They were gathered together by countries, which were signalled as the change occurred by an elegant sans-serif text accommodated on the front ledge of the shelves. 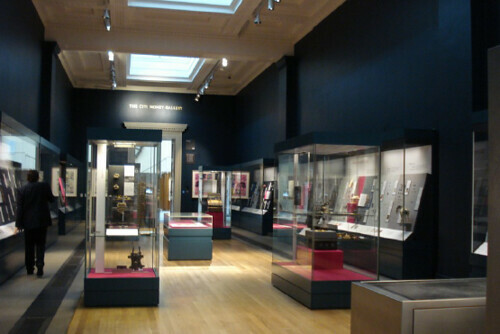 There was an explanatory text about the display, repeated at either end of each case, and the long, clear top space announced FEDERATION INTERNATIONAL DE LA MEDAILLE D’ART, along with a white monochrome sculpted rendition of the medal that Scottish artist Malcolm Appleby produced as this year’s Congress medal. With the volume of work present, it is difficult to write about just a few of the exhibits. As grouped together by country, the Netherlands and the United Kingdom had a strong presence. Medals such as the Polish artist Katarzyna Adaszewskas’ ‘I Am’ brought a light challenge to the idea of the medal form, a compact statement the ‘obverse’ being forever beyond grasp in an ‘Alice Through The Looking Glass’ parallel world, disappearing as the enquirer tries to get a more detailed view, glimpsing what they may or may not perceive ‘they are’. This display encouraged the viewer to promenade the length of the room and then dart back and forth to refresh and recheck details, artists and countries that caught one’s attention. It was an immersive experience, with a river-like flow, and one that, I am sure, the subsequent unsuspecting visitors to the gallery will find as their first experience of the art medal refreshing and surprising. The Canadian Mint has struck a medal -- in silver! 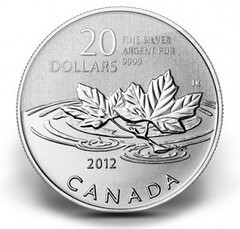 -- to honor the last Canadian cent struck this year, 2012. Canadian cent collectors should add this medal to their collection. Too bad it won't fit in a cent album made especially for this series. In 2006 I prognosticated the U.S. Cent series would end in 2009 with the hoopla of the four cent reverses celebrating the last year a U.S. cent would be issued. But U.S. Treasury officials are too stubborn (or too d__b) to recognize that the U.S. cent should be abolished like Canada has done. My prediction was wrong-- of course -- but it is still inevitable the U.S. cent is no longer a viable function in the American economy. To make a spectacular departure from America's family of denominations, the 2009 Lincoln cents with four reverses should be struck in something special -- perhaps precious metals -- silver and gold! Imagine the charm of a silver cent and the uniqueness of a gold penny! Each with four different reverses. THESE coins should be the commemorative cents. These could be coins with a surcharge. These could be sold to collectors for the spectacular final issuance of Lincoln cents. Those commemorative cents -- in silver and gold -- would fit in a collector's album. And what a stunning climax for the end of the series. The Lincoln Cent in Silver and Gold. I don't know what's really going on, but it will be interesting to follow news about the Chian Kai-shek medal you mentioned in last week's E-Sylum. I'm curious why it was included in the middle of a stamp auction instead of being in an auction of medals and decorations. At least 2 Taiwanese news sources claim it must be fake since his was buried with him. 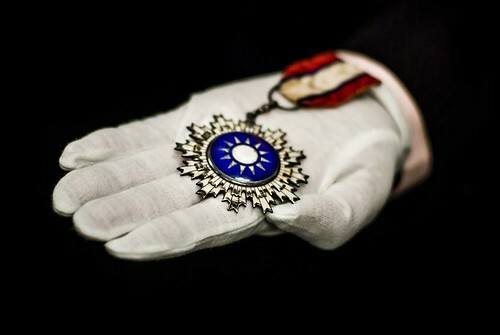 The prestigious Order of Blue Sky and White Sun medal that was awarded to the Chinese war hero Hu Lian was allegedly stolen by a mainland tourist from Heilongjiang Province, according to local media on Tuesday in Taiwan. Surveillance footage showed a man dressed like a Chinese tourist opening the medal's display case and taking it from a Kinmen museum on May 4. Kinmen police have identified the suspect as a 76-year-old man, with the surname Qiao, from Heilongjiang Province of mainland China. They said the man boarded a boat that took him back to Xiaomen shortly after the alleged act took place. It was the first time that the Mr. Qiao came to Kinmen and Taiwan. A medal awarded to late Taiwanese leader Chiang Kai-shek is going up for auction in Hong Kong, even though Taiwan's defense ministry says it's not the original. The Order of Blue Sky and White Sun medal is going on the block Friday. It's expected to fetch 3-5 million Hong Kong dollars ($387,000-$645,000). 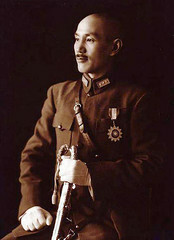 Taiwan's defense ministry said last week, after Spink announced plans for the auction, that Chiang was laid to rest in a mausoleum with the medal when he died in 1975. "Before 1995, it was the usual practice to give a new set of the medals to a general who passed away for burial," he said. The auction house says it's the first time the medal has ever gone up for auction. When I saw the below image of an identification tag it reminded me of the slave tags sometimes seen in auction of U.S. colonial-era coins. This image was connected to a story on archeology of the Holocaust, specifically work being done by an Israeli archaeologist at the site of the Sobibor Nazi death camp. When Israeli archaeologist Yoram Haimi decided to investigate his family's unknown Holocaust history, he turned to the skill he knew best: He began to dig. Today, tall trees cover most of the former camp grounds. Because there were so few survivors — only 64 were known — there has never been an authentic layout of the camp, where the Nazis are believed to have murdered some 250,000 Jews over an 18-month period. From those few survivors' memories and partial German documentation, researchers had only limited understanding of how the camp operated. Over five years of excavations, Haimi has been able to remap the camp and has unearthed thousands of items. He hasn't found anything about his family, but amid the teeth, bone shards and ashes through which he has sifted, he has recovered jewelry, keys and coins that have helped identify some of Sobibor's formerly nameless victims. "Because of the lack of information about Sobibor, every little piece of information is significant," said Haimi. "No one knew where the gas chambers were. The Germans didn't want anyone to find out what was there. But thanks to what we have done, they didn't succeed." 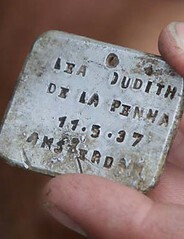 The most touching find thus far, he said, has been an engraved metal identification tag bearing the name of Lea Judith de la Penha, a 6-year-old Jewish girl from Holland who Israel's Yad Vashem Holocaust memorial confirmed was murdered at the camp. School teacher Nandita was surprised when a teenager manning the cash counter at a coffee shop in a private hospital offered her two bubble gums with a wide smile. "Didi (sister), we have no one-rupee or two-rupee coins. So, would you mind the gums instead of Rs.2?" he asked Nandita, who had bought two cups of cold coffee. Her experience was not something unique or an isolated incident. People across West Bengal, particularly in Kolkata, face an acute shortage of coins of smaller denominations, making even the simplest tasks of buying groceries or commuting a complicated transaction. Tapas Mukherjee of the Barabazar Traders Association said the "huge shortage" of coins was badly affecting the business of about 3.5 million small traders in the state. "One rupee coins have suddenly vanished from the market. Have you seen any of those? Vegetable sellers are mainly facing the music," Mukherjee asked IANS. 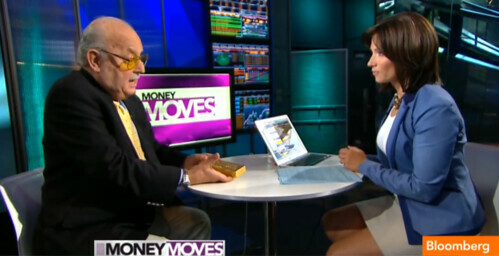 He said hoarding of small denomination coins might be one reason for the crisis. According to Sarkar, even now bus and mini bus operators have to tap the grey market to buy small denomination coins due to inadequate supply. Adjacent to the RBI Kolkata office premises sit scores of men who buy coins and sell them on a premium although selling of coins is illegal. The coins can only be exchanged. Sarkar said Re.1 coins were being sold at a premium. He said it was the defective distribution policy of the RBI that led to coin shortage. "The RBI should enroll individual bus owners with a specific bank branch to issue coins." The shortage of small coins is also being felt elsewhere in the country where low-priced candies have emerged as a medium of barter among buyers and traders. The Royal Australian Mint is pushing the boundaries in National Science Week and celebrating astronomy and engineering with its newest innovation ‒ a curved coin. 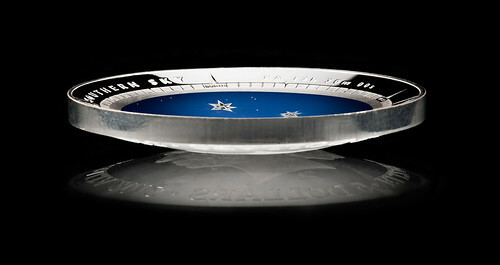 With the curved coin creating a domed shape it seemed only fitting for it to emulate the night sky and feature the well known Southern Cross. 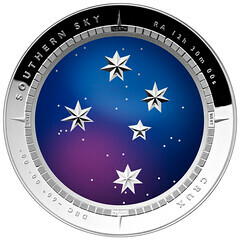 "An astronomical design was perfect for this coin and not only because of the dome shape, we also added colour to truly capture the essence of the night sky and bring it to life," said Mr Ross MacDiarmid, Chief Executive Officer of the Royal Australian Mint. "The Royal Australian Mint has always been at the forefront of coin design and this latest coin release shows just how innovative and unique our products are," said Mr MacDiarmid. The Mint had unveiled prototypes of the curved coin late last year but they are now hitting the shelves and being snapped up very quickly because of its uniqueness and theming. "We are always thinking of new ways to develop technologically, and this product was a real challenge in creating a visually appealing design on curved precious metal," Mr MacDiarmid said. The coin design features the Crux constellation, otherwise known as the Southern Cross, which spans the domed surface of the silver coin like a celestial sphere. There are also navigational markers bordering the design, which point out where the viewer would face when looking up at the sky to get the best view of the constellation. "This is the first release dedicated to constellations visible in the Australian sky, and in this new age of space exploration, we look forward to bringing you more astronomically themed products in the years to come," Mr MacDiarmid said. 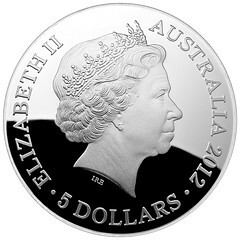 The 2012 $5 Southern Sky ‒ The Crux Silver Proof Colour Printed Domed coin, retailing at $110, is available now through the Royal Australian Mint. A Bloomingdale’s security boss whose job was training workers to spot counterfeit money was arrested after she allegedly tried to pass bogus bills at the flagship Midtown store, sources said yesterday. Funny-money expert Alice Butler was nabbed by one of the Bloomie’s employees she personally trained, after she presented a pair of fake $100 bills while loading cash onto her employee debit card on July 1, law-enforcement sources said. Butler’s talents as a teacher apparently came back to bite her because her former student quickly noticed the images on the bills were blurry and the ink wasn’t the right color, sources said. The married, 56-year-old New Jersey resident had worked at the store for 17 years when she allegedly laid down the bogus Benjamins at the department store at Third Avenue and 59th Street, sources said. The cashier promptly called for security officers — who awkwardly had to question their supervisor, the sources said. Butler tried to weasel her way out of trouble by saying, “I know fake money, and why would I link it to myself by making a payment to my own account?” according to a criminal-court complaint. NYPD detectives were summoned and hauled Butler away in handcuffs. “They perp-walked her through the store — brought her down the escalators — so all the employees would see her, and took her out though the front door,” said one source. “She was trying to put her head down, but she’s a big woman with dreadlocks so she’s hard to miss,” the source added. Doctors say the coin might emerge in the coming days - or it might get stuck somewhere and never emerge. Now Niamh has a sage warning for other kids: if it isn't food, don't eat it. Niamh spent the afternoon at Starship hospital until doctors could see the coin had passed into the intestine. "We were lucky the milk worked and she didn't vomit because it could have got stuck on the way back up," Niamh's mum Astrid Aageson said. "As soon as it gets through to the stomach it is not so dangerous." Most parents wait for the coin to pass naturally but Niamh's uncle thought using a metal detector from his work at an engineering firm would be a better option. "We have been scanning her stomach every few days and the coin is still there," Astrid said. "It has been almost two weeks now so we are hoping it will be out soon." While using Google, I found a page at the Federal Reserve Bank of St. Louis. Towards the bottom of the page, there are links to each fiscal year's "Annual Report of the Secretary of the Treasury on the State of the Finances." Each report is in its own PDF file, with sizes ranging from under one megabyte to more than 75 megabytes. 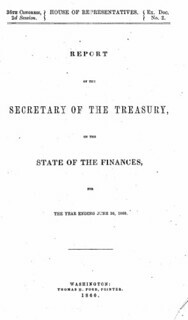 These annual reports contain the reports of the many departments of the Treasury, including the Bureau of the Mint. Although some may consider these not as authoritative as the original hand written Mint Reports that are available (?) in some government archive, we all can agree that these are much more accessible. And they might motivate researchers to search the archives for letters and other original materials related to a particular topic of interest. I am amazed by the large number of books and documents that have become available recently, and look forward to more! Couple these PDF files with some free online OCR programs that convert from image files to text files, and much of the tedious work in bringing the reports to the web as pure text (HTML) files is gone. All that remains is proofreading the text files to fix typos and remove artifacts resulting from stray marks in the PDF images. And, of course, finding the time to proofread. Never enough time!